Now, here is another list of free and open source video editors for Linux. Kdenlive (KDE Non-Linear Video Editor) is a powerful non-linear video editor that is both versatile and easy to use. 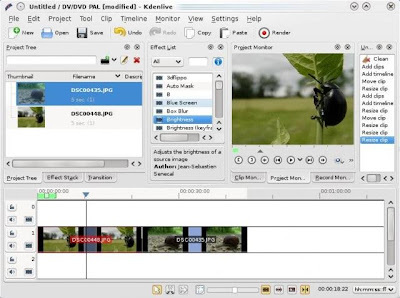 It supports all of the formats supported by FFmpeg such as QuickTime, AVI, WMV, MPEG, and Flash, and it also supports 4:3 and 16:9 aspect ratios for PAL, NTSC and several HD standards, including HDV. 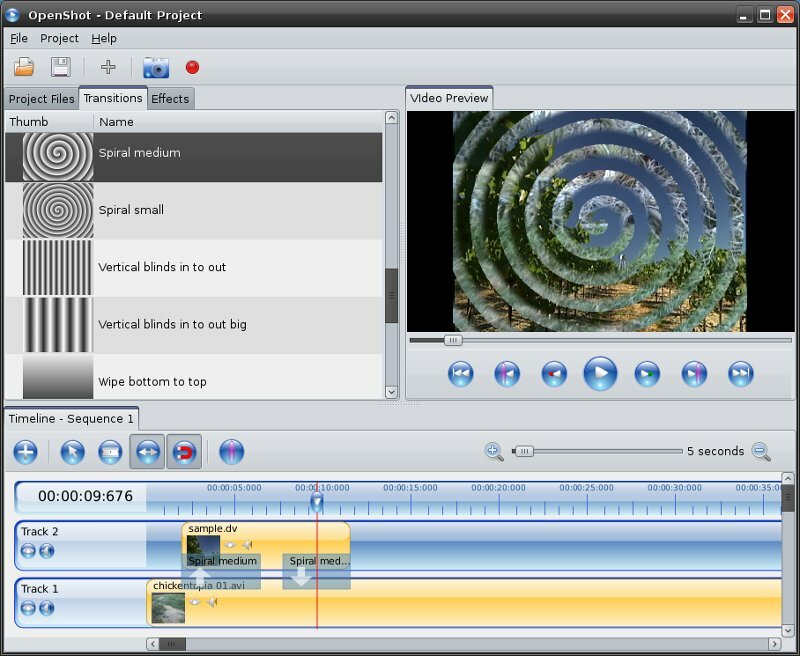 The latest version of Kdenlive features interface based on KDE's Oxygen style, capture from FireWire cameras, webcams and Video4Linux devices, screen capture, support for jog shuttle devices, independent rendering processes, interactive timeline operations, high definition editing, lossless formats and clip organization / location tools. It utilizes various frameworks to provide a range of audio and video effects and transitions, including MLT, Frei0r effects, SoX and LADSPA. Audio effects include normalization, phase and pitch shifting, limiting, volume adjustment, reverb and equalization filters amongst others. Video effects include options for masking, blue-screen, distortions, rotations, colour tools, blurring, obscuring and others. Ingex is a suite of software for digital capturing of audio and video data, without the need for traditional audio or video tape or cassettes. Its main features include SDI video and audio capture, real-time transcoding and wrapping in MXF, archiving to LTO-3 data tape and network file serving of media files. With Ingex, audio and video media files can also be stored on USB hard drives or Network Attached Storage. The software is extensively used by the BBC, and was developed by the BBC Research Laboratory. Some of the early production projects that have utilized Ingex include a Foo Fighters music video, and the BBC television series Dragons' Den.